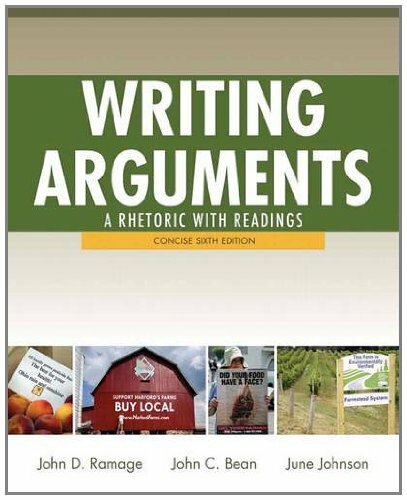 The market leader in argumentative rhetorics, Writing Arguments has proven highly successful in teaching students to read arguments critically and to produce effective arguments of their own. With its student-friendly tone, clear explanations, high-interest readings and examples, and well-sequenced critical thinking and writing assignments, Writing Arguments offers a time-tested approach to argument that is interesting and accessible to students and eminently teachable for instructors. Cultural Contexts: Who Writes Arguments and Why?